See scan - perfect condition. This is a nice and rare pre minting state SPECIMEN of the 1982 Dimitrov medal. The set comes with the regular type medal which was later adopted and awarded. The Specimen has a plain reverse and slightly different details to portrait at obverse. 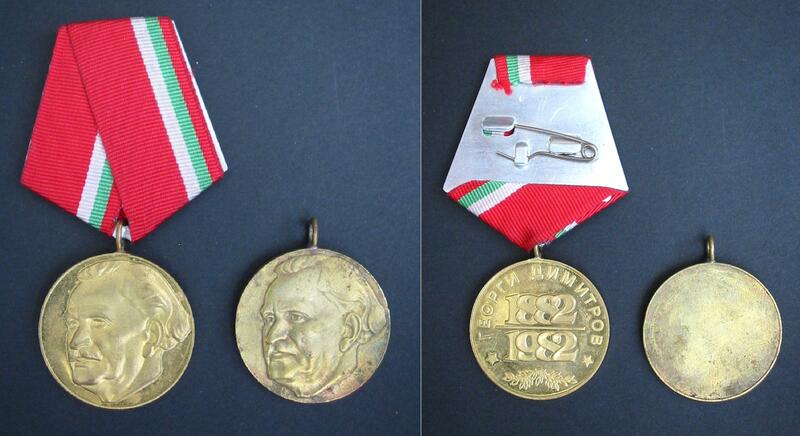 Rare collector set and one of the rare Bulgarian medals and decorations.